We are a small rabbitry located in South Jordan, Utah. We raise Quality Mini Rex and Holland Lop Bunnies. We strive to produce only the best quality rabbits. We will ship. Our bunnies are guaranteed to be healthy and have exceptionally sweet temperment !! Show quality NPGA Pygmy Goats. This site is about Chinchillas as pets. 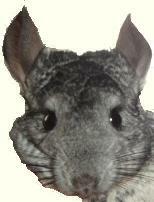 We are Breeders and Rescuers who adopt and adopt out Chinchillas to loving homes. A Web directory of the best horse sites. Browse our sites or add your own horse site. Raising, breeding and showing Nigerian Dwarf Goats. They make wonderful pets and some have blue eyes. Raising quality Mini Lop rabbits for show & breeding. Home of BIS & RIS winner, broken blue doe, Milkhouse's Jaws. We breed registered Jockey Club Thoroughbreds and crosses in Winnemucca Nevada. We stand Captain's Rebel, TB stallion at stud. These horses are bred for English or Western pleasure or sport. We have a sale page and inquiries are welcome too. Add your horse site to our top list. Raising, Showing & breeding quality Mini Lops in southern California. "Where Mini Lops come in TYPE & Color"!! Chocolate, lilac & regular varities . . . that are TYPEY!! Come on & check us out! Quality lionhead rabbits bred for show, brood or companions! Please also check out my velveteen lops!